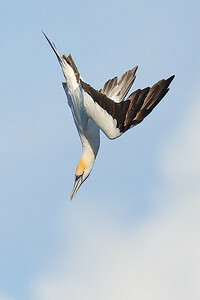 Australasian gannet (Morus serrator) adult diving. Little Tern (Sternula albifrons) non-breeding plumage. 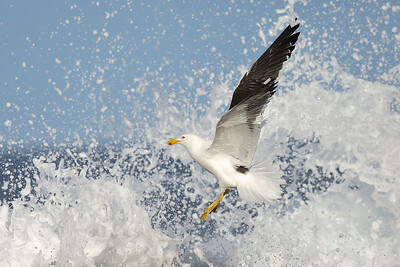 When terns bath they really enjoy themselves. 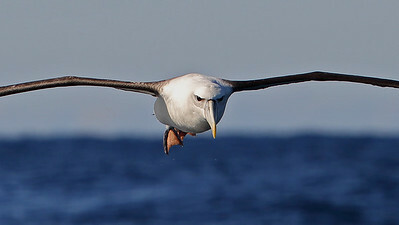 A Shy Albatross (Thalassarche cauta) just cruising. 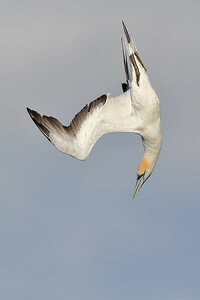 One of many Australasian Gannets that frequently fly along the Australian Coastline during winter. A very nice close up a caspian tern in flight.